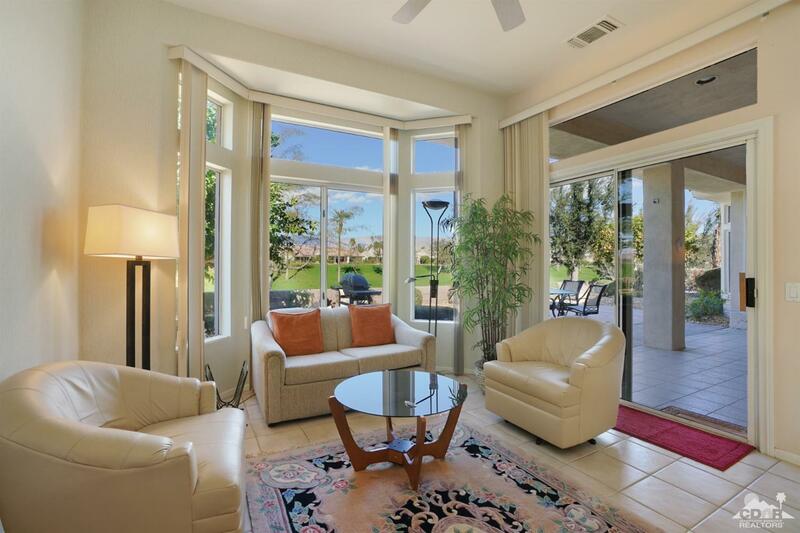 Sun City Palm Desert- Baccarat. 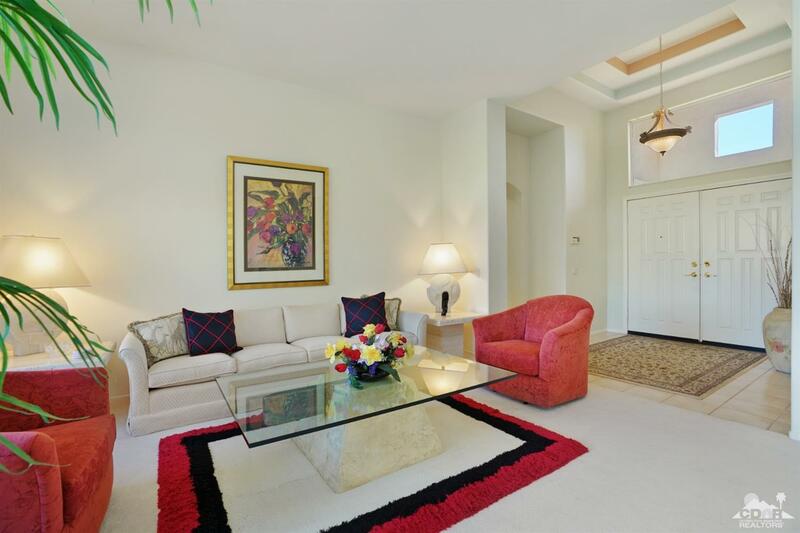 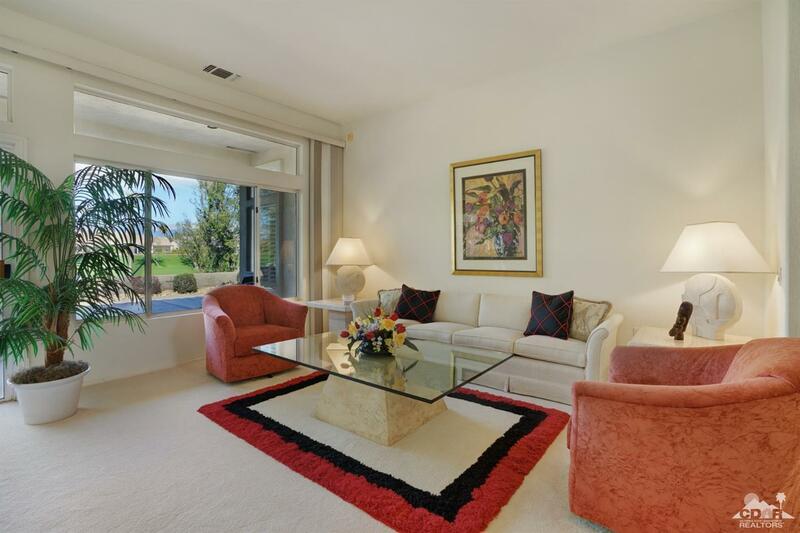 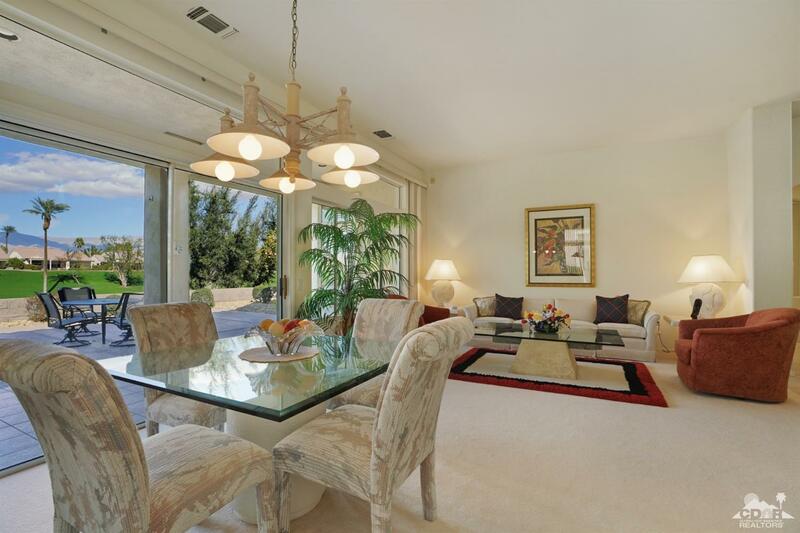 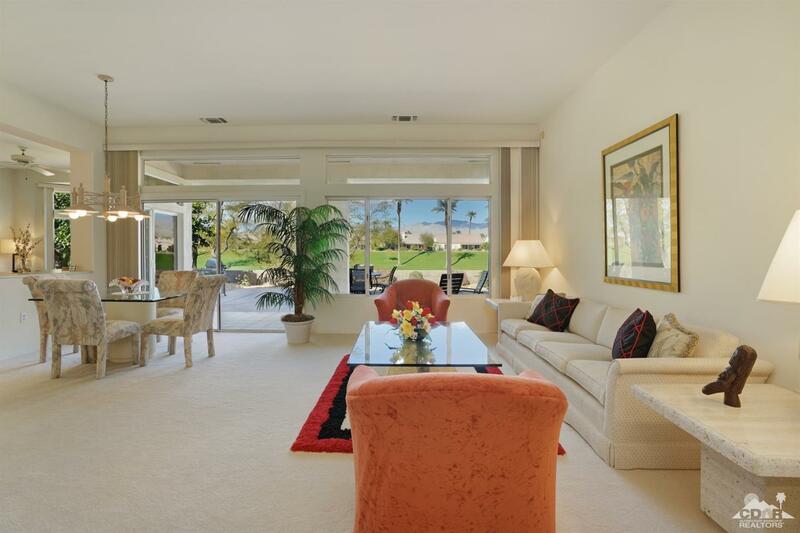 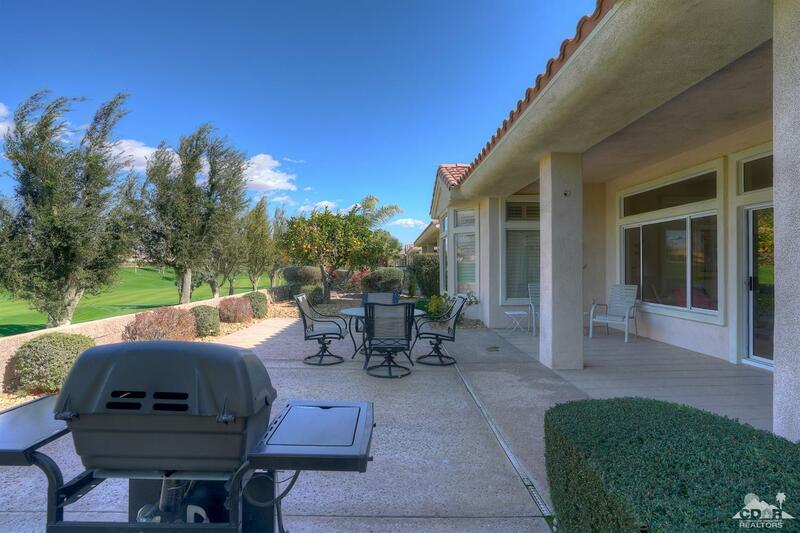 Sitting high above the golf course, this meticulously maintained home is move-in ready. 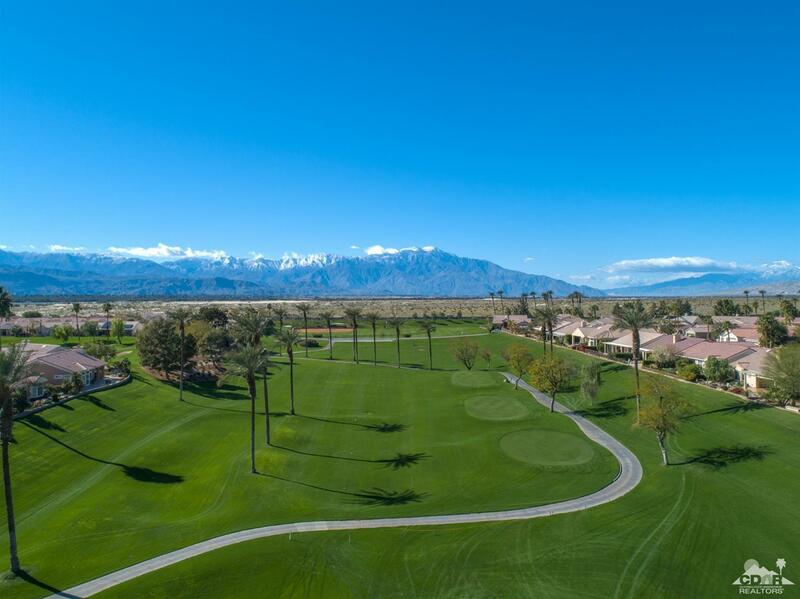 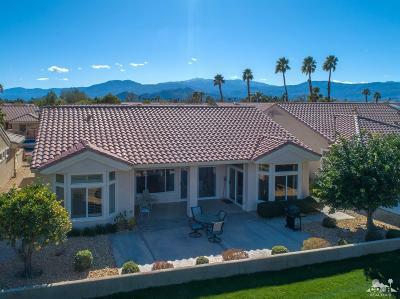 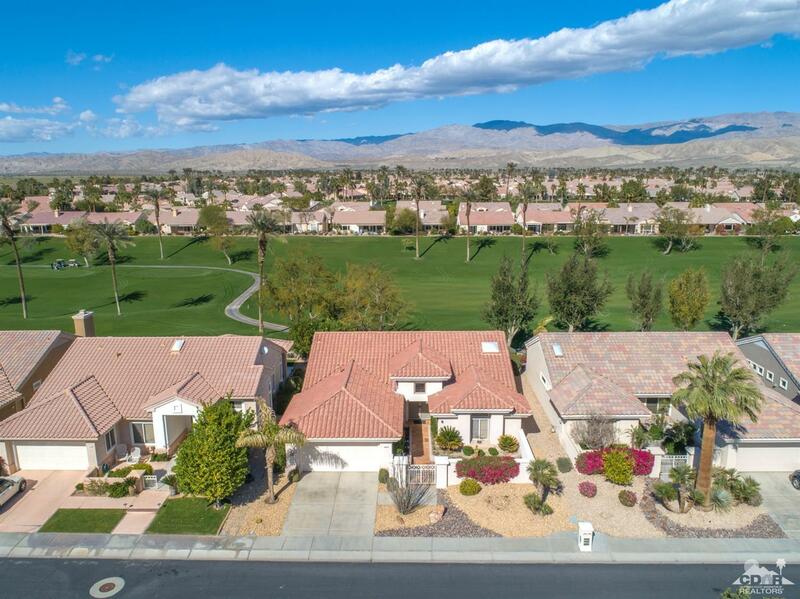 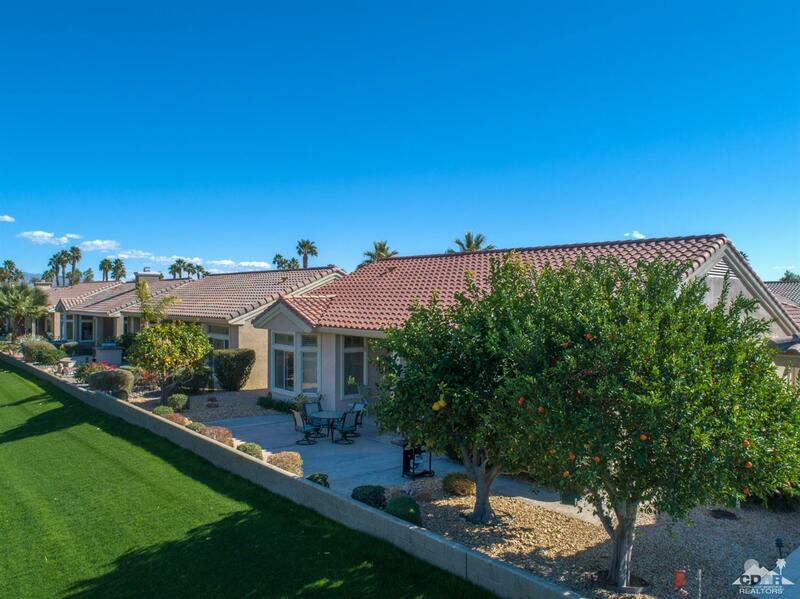 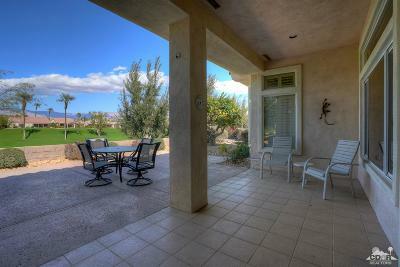 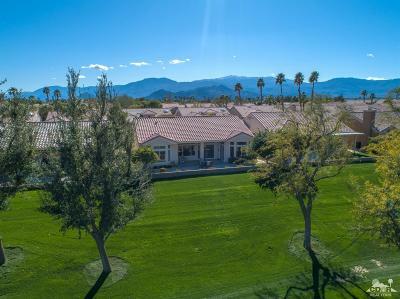 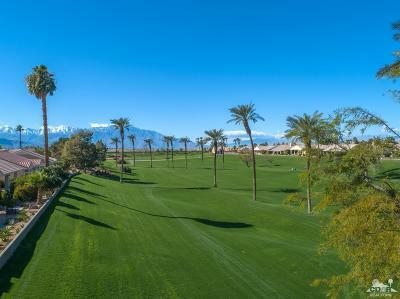 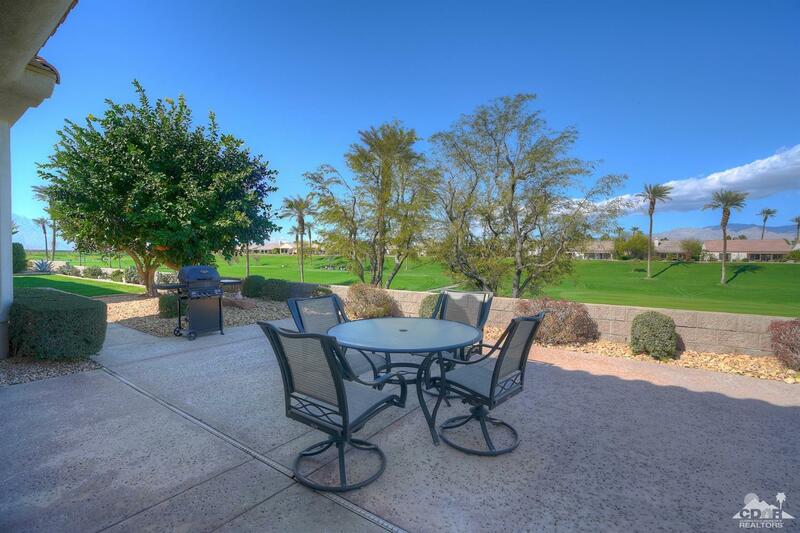 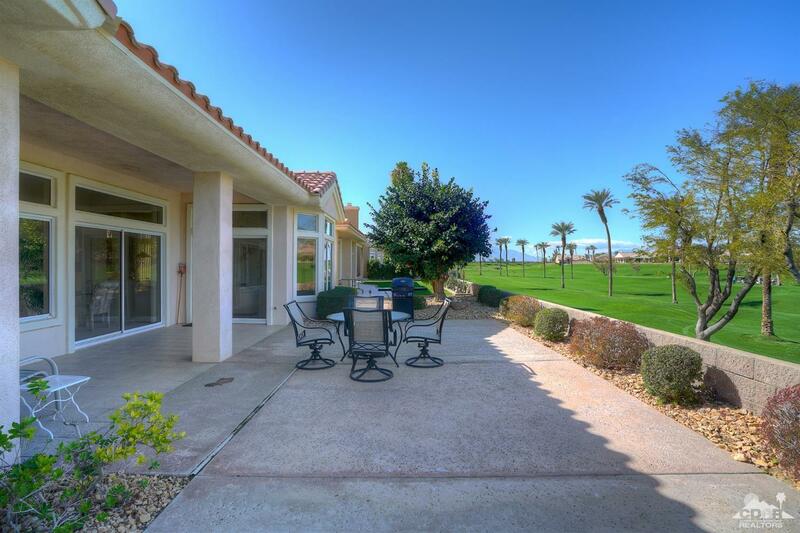 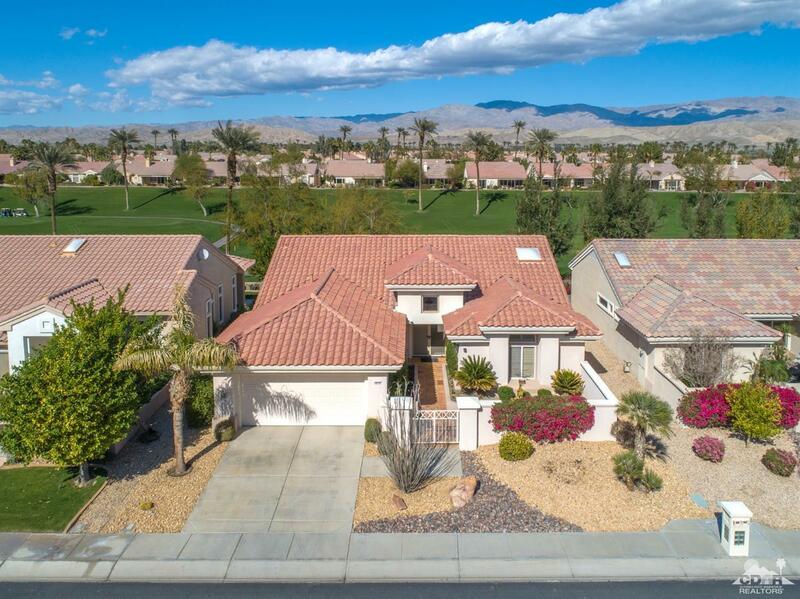 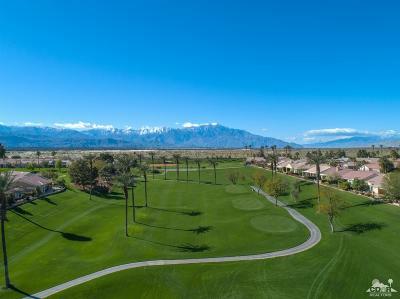 The home has a north facing rear yard w/a spacious patio providing panoramic golf course and mountain views. 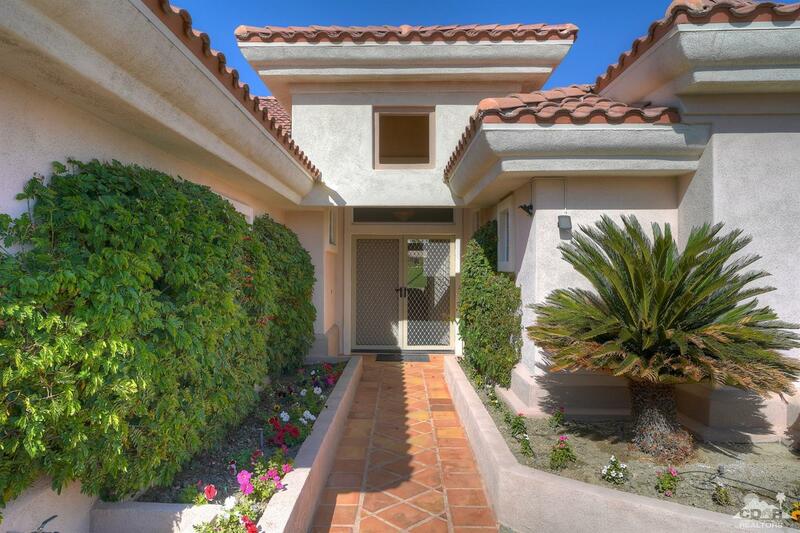 A gated front courtyard, tiled hardscape & dual front doors provide curb appeal. 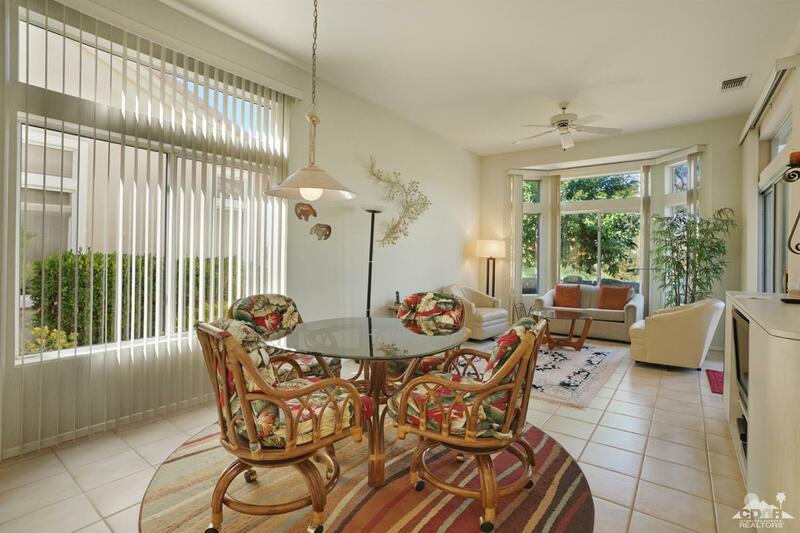 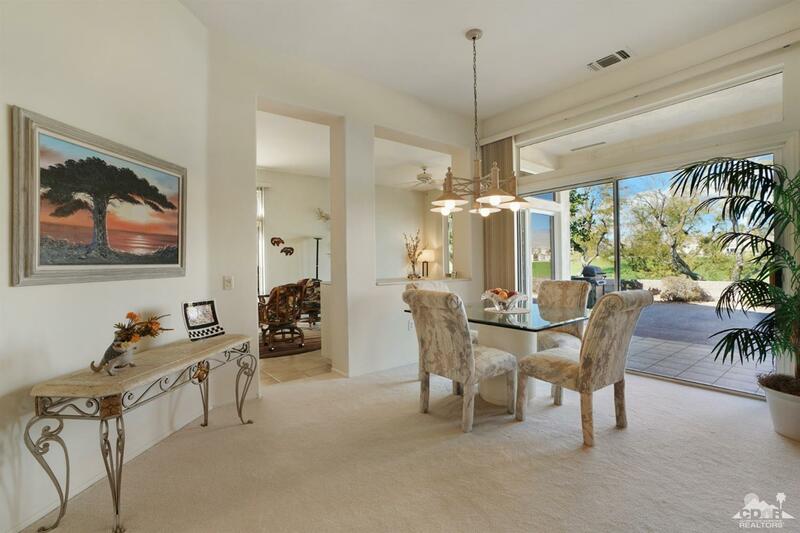 10ft ceilings & transom windows provide abundant natural light. 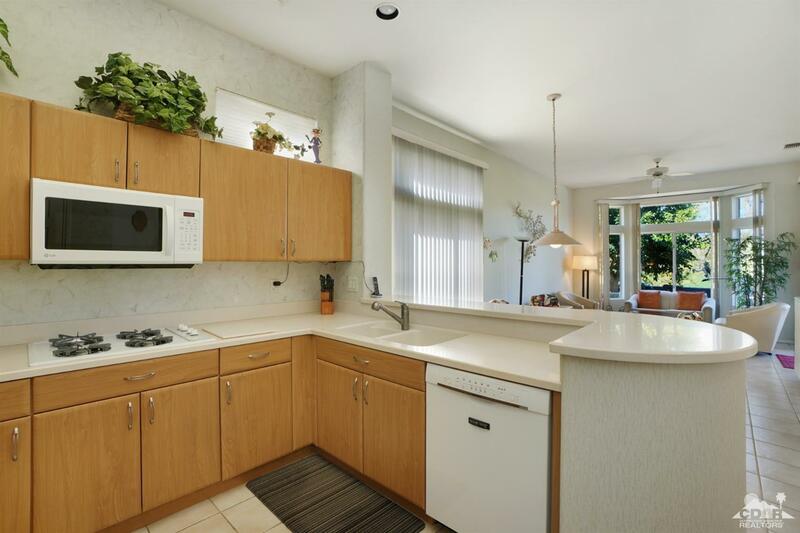 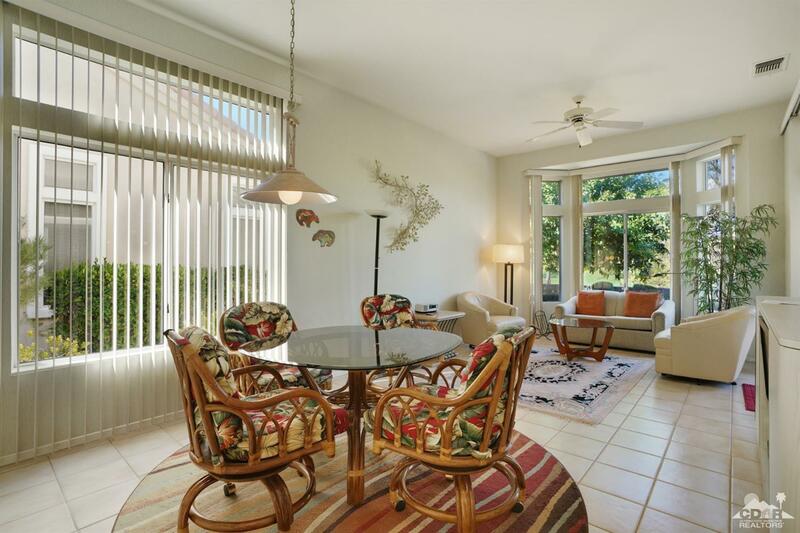 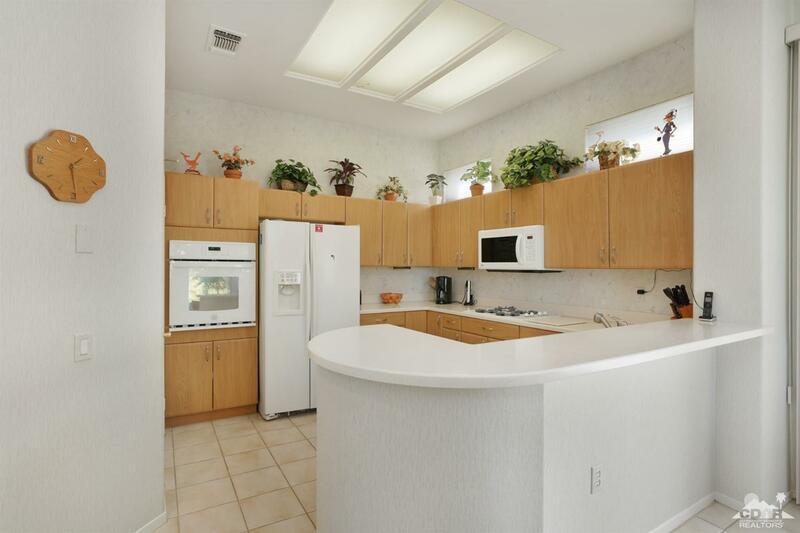 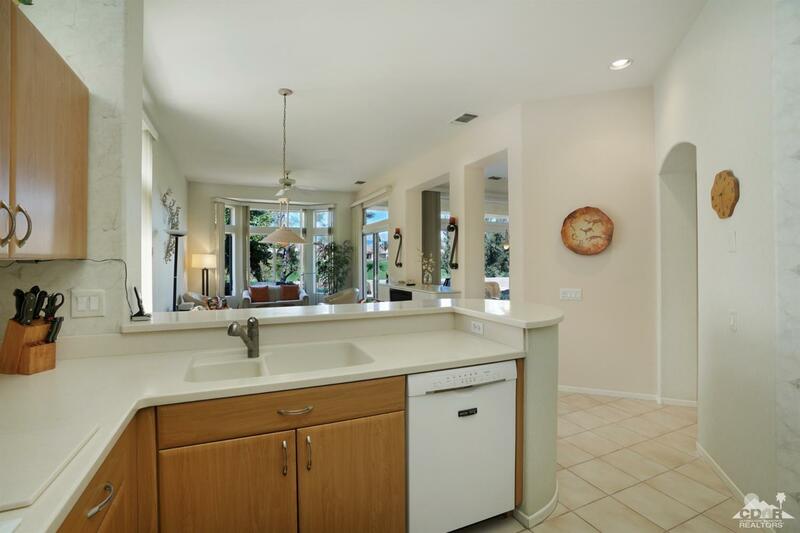 The kitchen features upgraded cabinetry & appliances, corian counters & a breakfast bar. 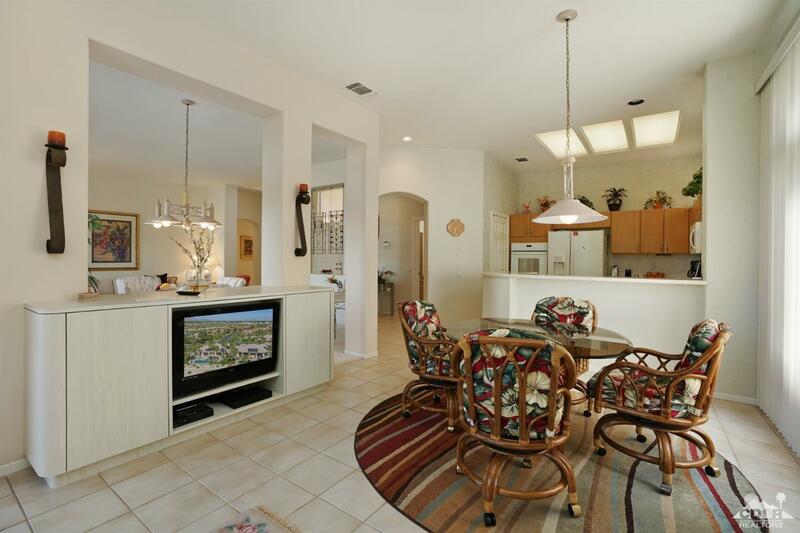 The family room has a buitin media center & slider to the rear yard. 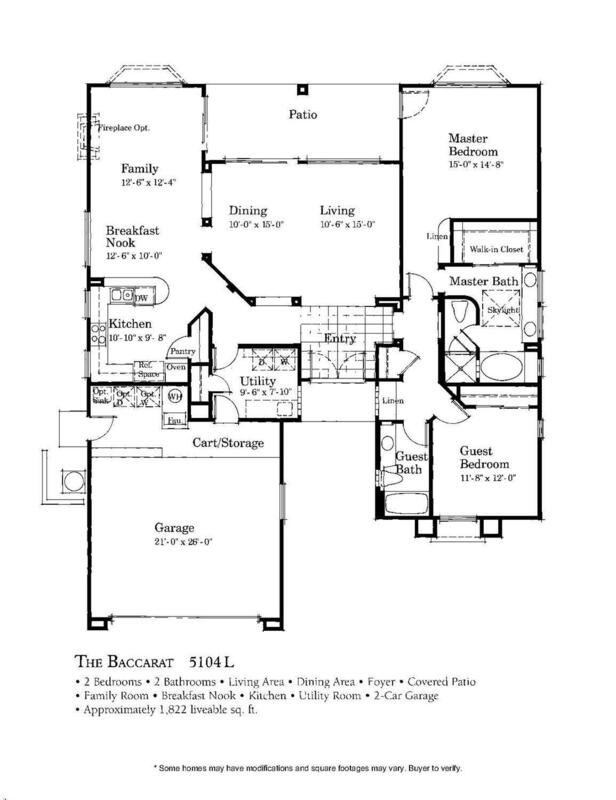 The master suite has a bay window, shutters & a large walkin closet w/builtin storage. 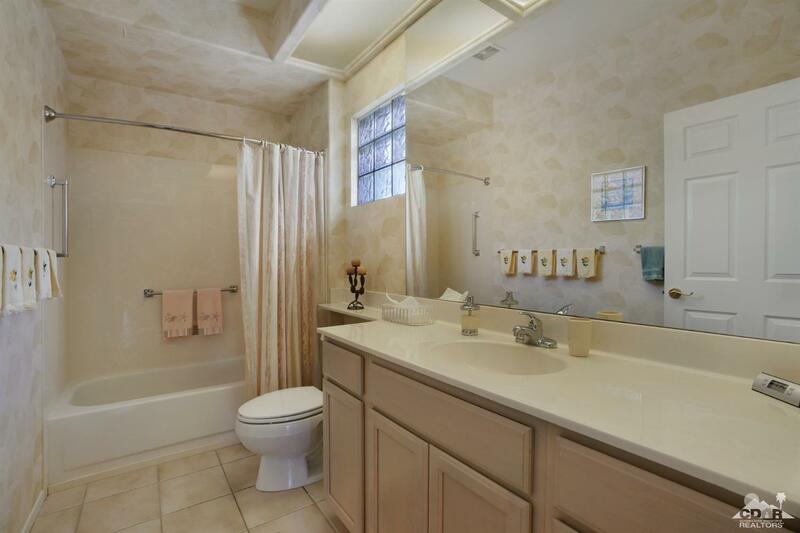 The master bath has a large skylight, dual sinks, a stall shower & large tub. 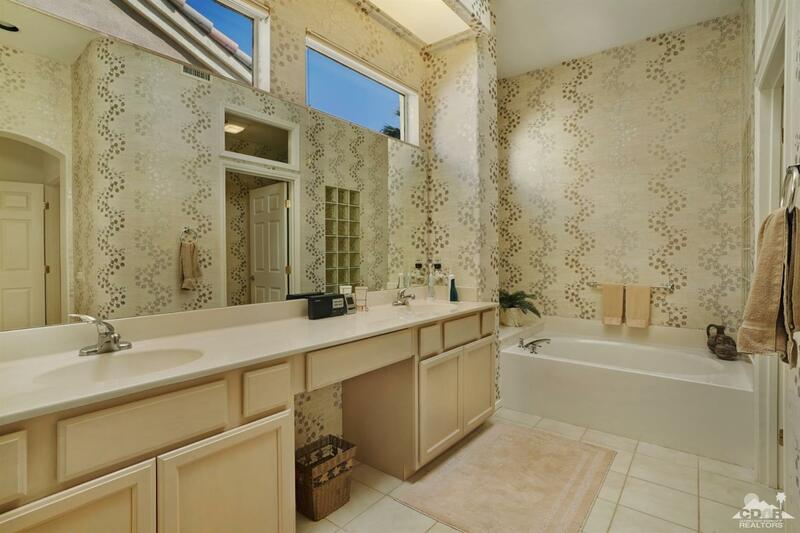 A shower/tub is in the guest bathroom. 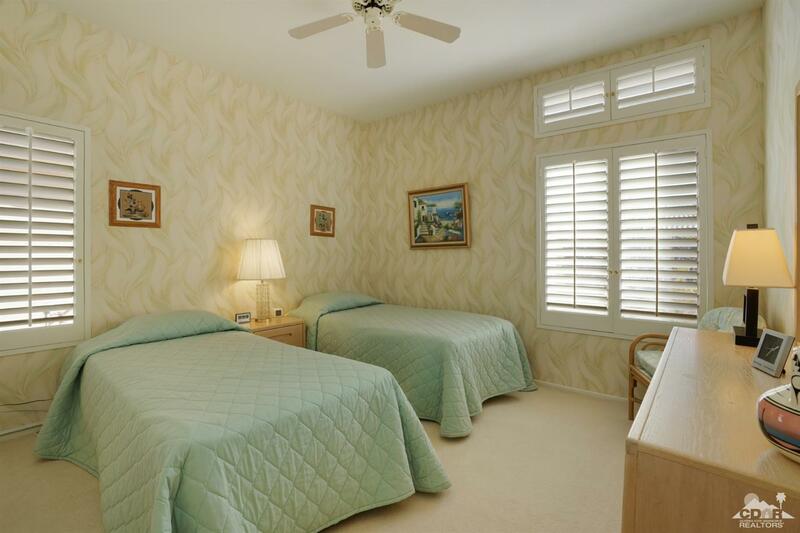 Shutters are also in the guest bedroom. 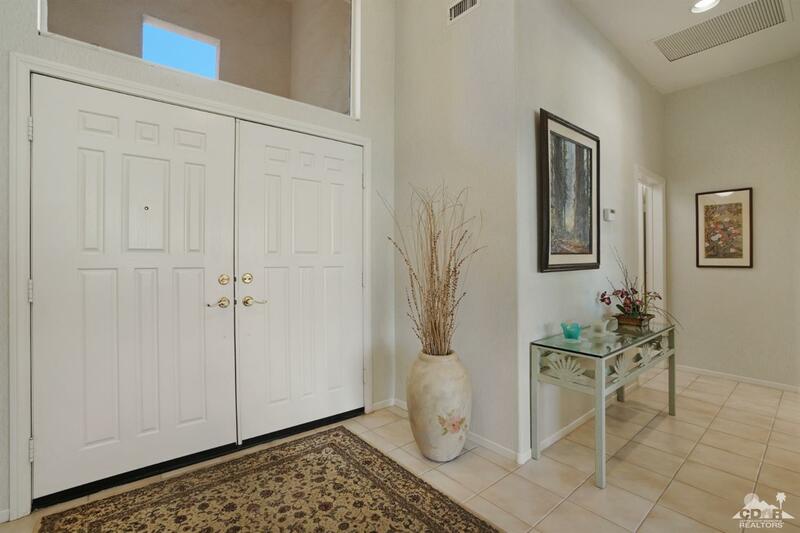 The 2 car garage has builtin storage & a work bench. 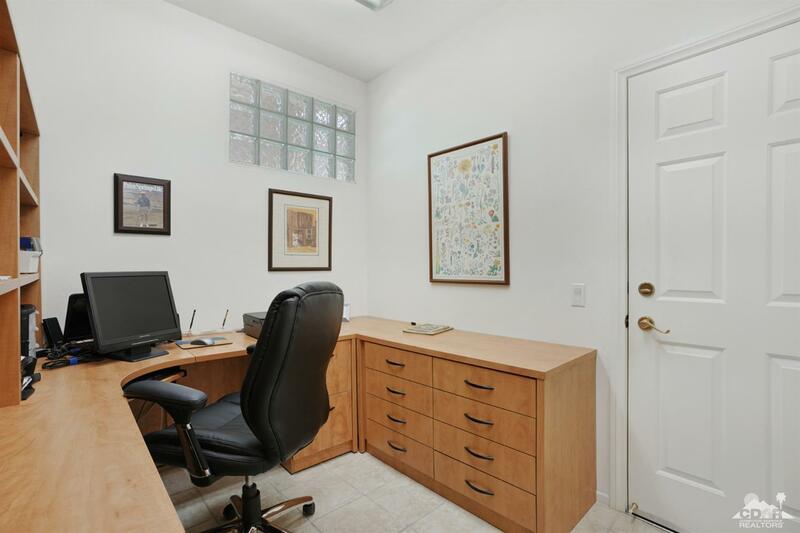 An office with a builtin desk sits between the hall & garage.